Marshall Grant, PLLC is a results-driven law firm that concentrates its practice in the areas of corporate and business law, complex commercial litigation, bankruptcy, insolvency and financial restructuring, employment law, real estate law, and general civil litigation, including insurance, wrongful death, and personal injury law. 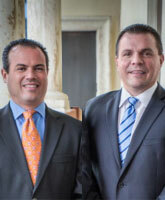 Headquartered in downtown Boca Raton, Florida, the AV® Preeminent™ rated firm and its lawyers provide clients throughout the United States with pragmatic, innovative, and effective legal representation. Additionally, the firm’s core team of talented attorneys and lawyers has extensive experience advising large, middle-market, small and start-up enterprises across a broad spectrum of industries, as well as counseling private equity funds, hedge funds and high net worth individuals. We serve clients throughout the country, but practice mainly in the southeastern region of Florida, including Miami-Dade, Broward, Palm Beach, and neighboring counties. The firm’s strength lies in a practice model focused on maximizing client value, through, among other things, the depth of our experience, expertise and creativity – not numbers. With this as our guide, Marshall Grant, PLLC attorneys provide top-tier counseling and representation with the level of attention and commitment necessary in today’s ever-changing economic and legal environment. We will help you by aggressively and diligently seeking the best resolution for your case, even if litigation is necessary. We appreciate and take into consideration the expense incurred with obtaining legal services and try to accomplish your objectives in a sensible, cost-effective, and resourceful manner. We take pride in and are committed to maintaining the highest level of service, making sure you are involved and informed throughout the entire case. Please contact Marshall Grant, PLLC to learn how we can help you by calling us at (561) 361-1000, by e-mail, or by submitting an inquiry through our web site for a free case evaluation. We are available during our regular business hours: 8:30am to 5:30pm, Monday through Friday, and on weekends and evenings by appointment. For a full description of the firm’s areas of practice please review the detailed descriptions of our practice areas on this site. We welcome Spanish-speaking clients.